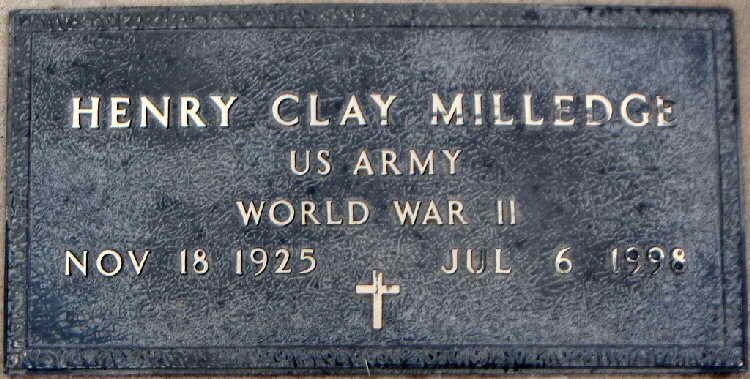 Grave marker for Henry C. Milledge in Plot 18, Alva Municipal Cemetery, Alva (Woods county), Oklahoma. Henry registered for the draft ca. 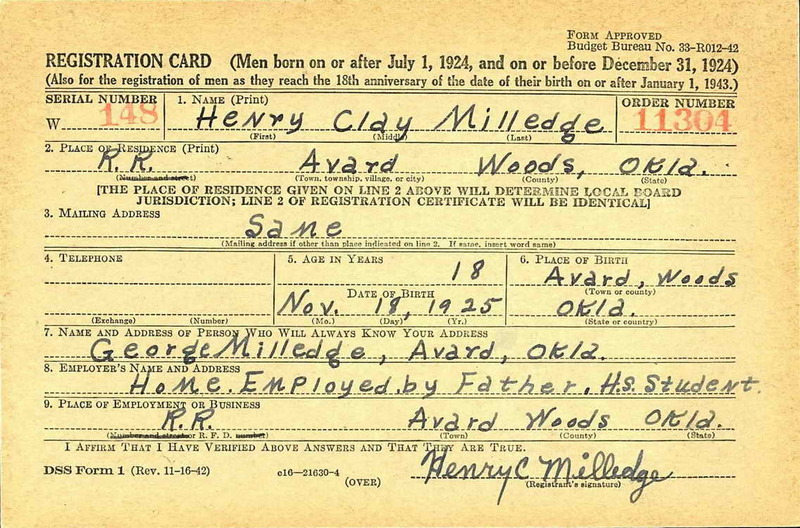 1943 and enlisted in the Army at Oklahoma City, OK on 31 July 1944. On 22 October 1945, Pvt Milledge was transferred from the 101st Airborne Division to Hq 2nd, 508th PIR. He was discharged on 26 June 1946. On 24 February 1950, he married Donna Mae Faucett [1932-2012] in Alfalfa, Oklahoma.